Estate Planning Attorney in East Lansing MI | Lansing Michigan area Wills & Estate Plan Attorneys | Foster & Harmon P.C. Lansing Estate Planning Attorneys | Foster & Harmon P.C. The Estate Planning Attorneys at Foster & Harmon P.C. are familiar with state and federal laws regarding estate planning in Michigan, and are available to provide experienced and insightful legal representation to prepare a custom fit estate plan for your unique situation. There is no reason not to have a will or trust, regardless of the size of your estate. Having an estate plan in place will give you peace of mind because you know you have been proactive in planning for your family and assets after you are gone. Do you have questions regarding an estate plan in Michigan? At Foster & Harmon P.C. in Lansing, MI our estate planning attorneys will give you that peace of mind by preparing for you various estate planning documents, or tools, that will address the concerns unique to your family. The estate planning attorneys at Foster & Harmon in East Lansing, MI will first identify your goals and then develop a plan to fit your needs. Our attorneys at Foster & Harmon concentrate on estate planning, probate and trust administration, and guardianship. If I don't have a will, does the State of Michigan get everything? Do I need an estate plan even if I don’t have a lot of assets? What happens if I don't name a guardian in my will? An "estate" is the property owned by a person at the time of death. Your estate may include real estate, bank accounts, investments, and also include life insurance benefits, annuities, retirement plans, and intangible assets. Often times people forget to include life insurance in their estates. Including life insurance in the estate can create a substantially larger estate, sometimes creating a federal estate tax obligation upon death. The purpose of estate planning is to first determine and educate yourself as to what exactly is your estate and to know how your various assets will pass upon your death. Then an estate plan is designed to provide tools to dispose of a person's property upon death based upon their wishes and desires, so that the State does not dictate and control how the estate is distributed. Estate planning takes into account the laws of wills, trusts, taxes, and real estate in order to come up with a plan that accomplishes the goals of the client. The basic tools of estate planning that are used to accomplish these goals are gifts, wills, and trusts . A will directs how a person’s probated estate is distributed upon death. 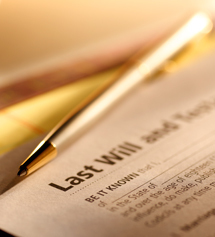 A will does not come into effect unless there is a probate estate. A will does not affect property that passes directly by joint ownership or by beneficiary designation. A will also allows you to control who is appointed as personal representative, trustee, or guardian for minor children. A will only comes into play upon death; as opposed to a durable power of attorney, which allows for management of property in the case of disability during the lifetime of the client. A will does not avoid probate; it guarantees it. A trust by and of itself, does not protect assets from taxes. However, under certain circumstances, a properly drafted trust can save taxes, and trusts are especially useful for a married couple where their combined estate exceeds the allowable exemption. These are called credit shelter trusts. If I don't have a will, will the State of Michigan get everything? No, without a will, property subject to probate will be distributed to a person's next of kin in accordance with a statutory priority list. The statutory list often times is different than how a person may desire for distribution of their property. However, the State of Michigan will not obtain your property unless you have no surviving family or legal heirs, or they cannot be located. There are many other factors that create a need for estate planning, other than owning a large estate. Each person has their own objectives, but owning a large amount of property is usually not the primary reason to plan. There are several ways to avoid probate, and a living trust is only one of them. Other methods include use of a Lady Bird Deed and beneficiary designations on assets such as life insurance, IRA’s, 401-K and annuities. The person who handles money for children will be their conservator or trustee. This person may or may not also be the guardian. Many people choose to separate the duties of guardian and trustee or conservator. This may avoid placing too much responsibility in the hands of one person, and may also serve as a check and balance on the appropriate use of the money that is intended to be used for the children. Children may be named as beneficiaries, but the proceeds will be paid directly to them if they are over the age of 18. This can have disastrous consequences. Most parents do not agree that their 18 year old son or daughter should have thousands of dollars to spend with no one to help them manage it. Nevertheless, this may be exactly what happens if life insurance is not viewed in relation to an overall estate plan. Therefore, most parents elect to establish a trust for the benefit of their children, and nominate a trustee to manage the funds that are placed in the trust. The trustee can be designated as the beneficiary of life insurance proceeds. The trustee is then bound by law to manage the funds for the benefit of the children. The funds can be used for any of the children's needs, including education and health care, until they reach an age specified in the trust document. Yes. By a properly executed power of attorney, a parent of a minor may delegate to another person, for a period not exceeding 6 months, any of the parent's powers regarding care, custody, or property of the minor child. This type of power of attorney is frequently used while parents are on vacation or extended job assignments. Please contact a lawyer at the law firm of Foster & Harmon P.C. 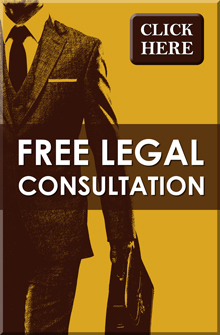 for a free initial consultation regarding your any legal issue having to do with estate planning or any other legal service we offer. You can contact us by email or calling us at 517.337.4600. Our estate planning attorneys are here to help!